A leading Mechanical and Electrical Engineering Company offering diverse solutions including Fire & Security, Gates & Barriers and IT/Network Solutions. 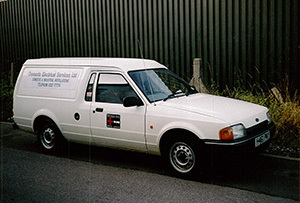 Established over 33 years ago as Tremorfa Electrical Services, our company has grown and diversified organically to employ more than 120 people across the UK. We have a proven track record in all aspects of engineering design, installation and maintenance for a wide range of clients. We pride ourselves on building strategic and long lasting partnerships with clients by offering the best service in our areas of expertise. Over 80% of the work we carry out is repeat business as our clients know that they will always receive the highest quality service from us. Our foundations are based on the experience and knowledge of our people combined with the quality of our services and systems. Knowledge is the foundation of Tremorfa’s success. Continual Professional Development (CPD), with regular and relevant training plans are key factors in our on-going business development and improvement strategy. Exceeding our clients’ expectations and going the extra mile in meeting their service requirements has been a major contribution to our continued growth and customer retention levels. We work with many high profile and trusted organisations, and it is through our on-going association with these companies that our own reputation and that of our employees is enhanced, providing us with a firm platform for the future. Tremorfa have proven most reliable in undertaking all aspects of work thus ensuring our compliance with legislation as well as the safety and security of our systems, staff and customers. I have no hesitation in recommending Tremorfa for work with any business that can use their talents. We have been consistently impressed with the high quality of workmanship shown by Tremorfa and their staff are highly professional, discreet and conscientious. They complete their work on time, on budget and above expectations. Their work standard, cost effective service and quality of work has been a major factor in our continued relationship. 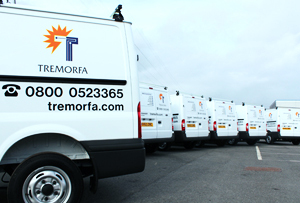 I can confidently recommend Tremorfa Ltd as a solid and reliable supplier, and experts in their field. Their staff are very conscientious and customer focused. They have a reliable backup team and more importantly you will always be able to contact a senior member of staff when required. I would be more than happy to recommend them. The work was carried out to a high standard and the University & residents were happy with the manner and speed in which it was carried out. Siemens O&M were very impressed by the professional and methodical approach exhibited by Tremorfa Ltd in connection with the recent installation of a net 2 access/muster system. Their professional advice at the initial planning meetings helped to ensure we installed the most appropriate system for our needs. Craig’s attitude towards our tenants was outstanding and the way in which the team worked made the job easy for me to carry on with my normal duties. Hardly any disruptions and both very clean and safety conscious. I have always found Tremorfa to be reliable and effective and receptive to any changes in contract requirements which become apparent from time to time. I would be more than happy to recommend them to third parties which I never do lightly. At Tremorfa, we recognise the importance and value of gaining industry accreditations to ensure that we consistently meet the defined standards of quality, safety and reliability for all of the services we provide. The accreditations that we achieve promote and encourage industry best practice and play a vital role in how we differentiate ourselves from our competitors. 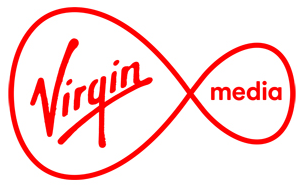 We work with many high profile and trusted organisations, and it is through our on-going association with these companies that our own reputation and that of our employees is enhanced, giving us a firm platform for the future. Our Case Study portfolio provides further information on a selection of projects we have carried out for some of our clients.